Need extra greenhouse windows? This greenhouse window measures 24" x 28". 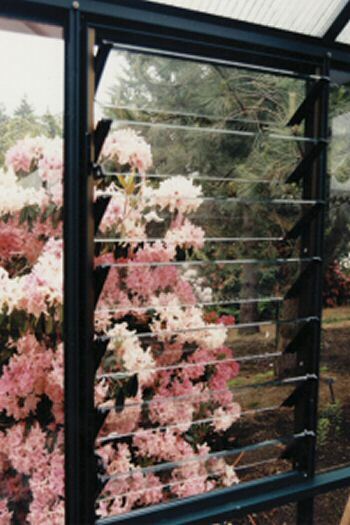 The aluminum frame contains adjustable glass louvre window blades that will provide additional greenhouse ventilation. This glass greenhouse window contains glass louvres that can easily be installed in any glass greenhouse.